My vinyl record player is one of those pieces in my room that I cannot imagine it without. As for me there is something so special about listening to music through vinyl. 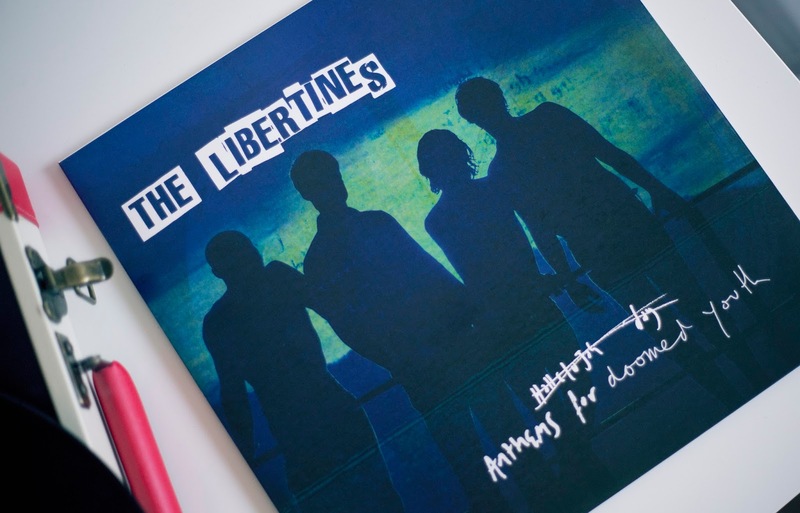 "Anthems for Doomed Youth" by The Libertines, has to be one of the best comeback albums (for me) of 2015. 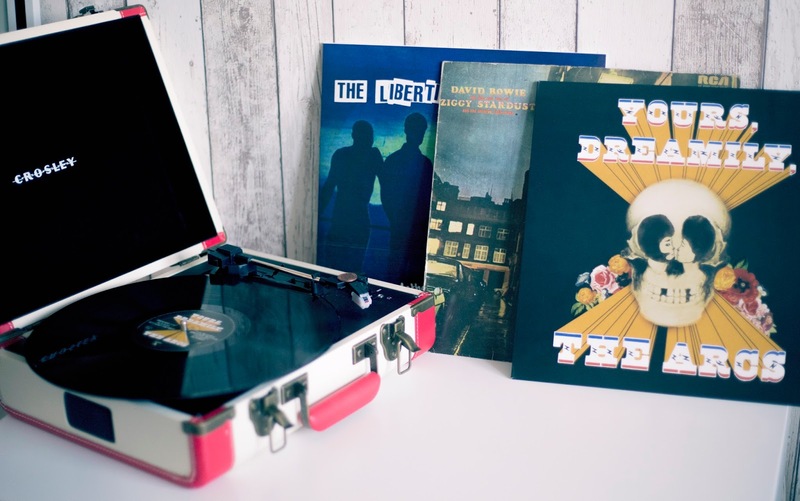 Recorded in a studio in Thailand (due to Pete's recent completion of rehab) the whole album dabbles with an array of sounds such as reggae and ska, as well as sophisticated sounding melodies that a show a more 'grown-up' side to the band. Although it might not sound like a "typical libertines" album, the heartfelt lyrics about recent losses and the last 18 years is what truly makes it worth a listen. As I am seeing them next week, I am definitely contemplating writing a review of the live set-let me know your thoughts? 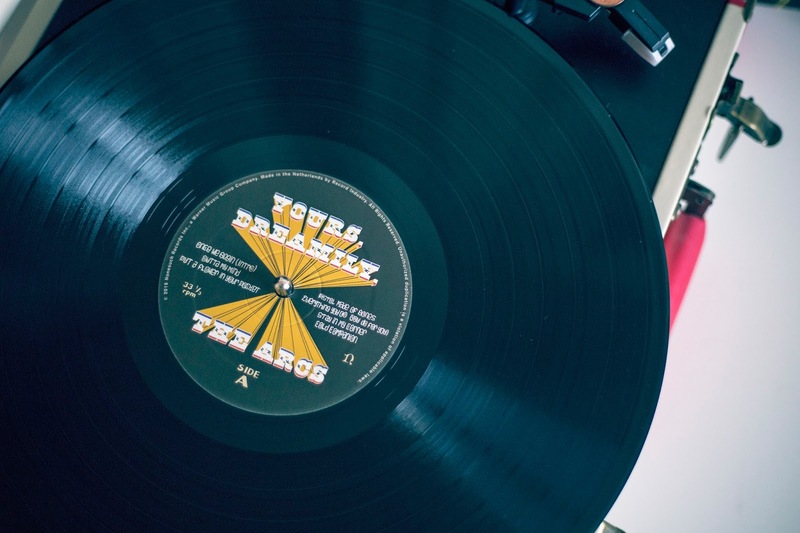 Recorded in just two weeks, The Arcs debut "Yours Dreamily" showcases a sound that has hints of psychedelia, soul and funk with lyrics to match. The opening track "Outta My Mind" clearly sets the tone for the tracklist to come. If you were a fan of The Black Keys last album "Turn Blue" then this one creating by one half of the band is definitely worth a listen. As some of the tracks on "Yours Dreamily" wouldn't feel too out of place on "Turn Blue". 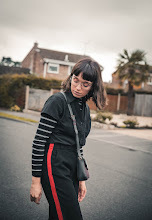 Due to the recent loss of the icon that is David Bowie, I thought I would pay tribute to musical genius by including one of favourite Bowie albums. 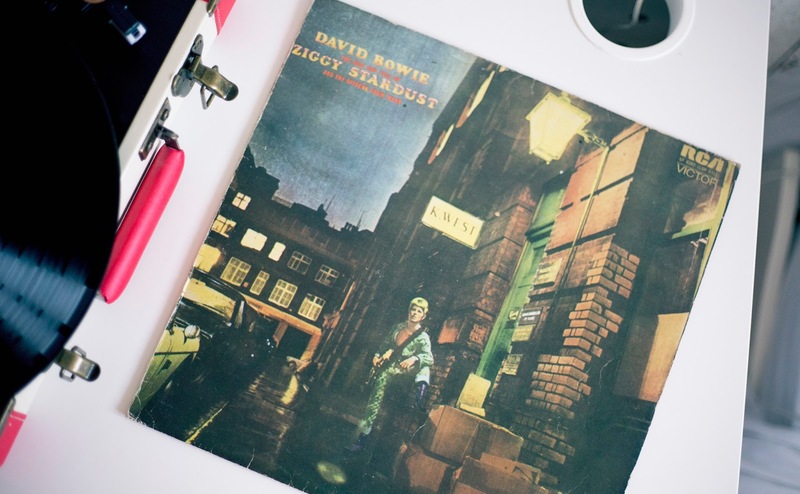 "The Rise and Fall of Ziggy Stardust and the Spiders from Mars" is a concept album telling the story of a fictional rock star named Ziggy Stardust. The album has clear glam rock influences and displays themes of sexual exploration and social commentary in Bowies' lyrics. The real stand-out track for me is the iconic "Starman", which tells the story of an alien bringing a message the earth's youth via radio, the 1972 Top of the Pops performance is simple iconic.